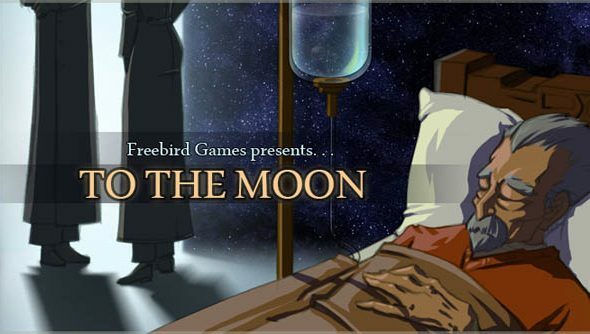 This month, Freebird’s To the Moon is coming to a Steam storefront near you. Finally those of you who have been avoiding picking the game up from Desura or the dev’s own site can put your money where your word-hole is. September 7th is the magic date, the one that we should all be looking out for. To the layman, that’s this Friday. If you’re coming to To the Moonfresh, it tells the story of two scientists who are diving further and further back into the memories of an old man on his death bed. More than anything he wants to have flown to the Moon and it is up to you to shape his life in a manner that will get him there. Kan Gao’s already hard at work on the game’s sequel, where once again you’ll be diving into the scientists shoes to go all Eternal Sunshine of the Spotless Mind on another hapless death’s door-er. If you bought To the Moon directly from Freebird then you will be able to request a free Steam code from Gao, though this is going to be handled on a request-by-request basis.